Danish dragons and ninjas are conquering Asian children. The LEGO Group delivered a turnover of 14,142 MDKK. First half sales were driven by double-digit growth across all geographical regions and strong product innovation. Revenue in the first half of 2015 increased by 18 percent compared with the same period last year measured in local currency and by by 23 percent in DKK. Operating profit for the first half of 2015 was 4,607 MDKK (3,632m). “We are pleased that we have again been able to develop exciting and fun play experiences that really appeal to children all over the world. A strong performance across the entire product range enabled us to deliver a highly satisfactory result for the first half of 2015.” says Group President and CEO Jørgen Vig Knudstorp. Lines such as LEGO City, LEGO Creator, LEGO Technic, and LEGO Star Wars™ continue to deliver very strong global results. 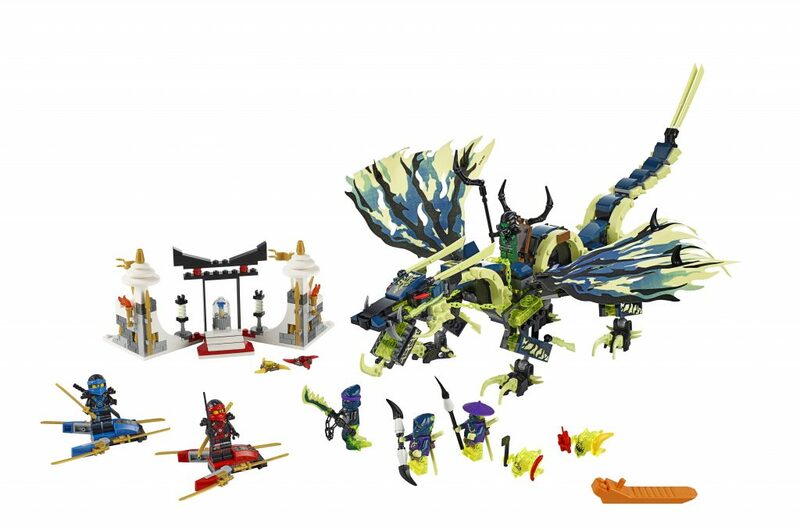 LEGO NINJAGO™, which has become an evergreen LEGO theme, also performed strongly. Jørgen Vig Knudstorp emphasizes that the company had more than 300 different sets on the market during the first half of 2015. “While all our regions experienced double digit growth during the first half of 2015, it is particularly satisfactory that Asia saw the highest growth rates given the considerable investments we are making there to further the company’s globalisation,” says Executive Vice President and Chief Commercial Officer Loren I. Shuster. “Among the important milestones for us during the first six months of 2015 was the inauguration of a 50,000 square meters expansion of our packing facility in the Czech Republic. And later this year, packing activities in our new factory in China will begin. The factory is going to supply our expanding Asian market and will create production capacity that will enable us to reach even more children in the region,” says Executive Vice President and Chief Operations Officer Bali Padda. In the first half of 2015, the Group announced a significant investment of DKK 1 billion to boost the search for sustainable materials through the establishment of the LEGO Sustainable Materials Centre in Billund, Denmark. The centre will lead the work to reach the LEGO Group’s 2030 ambition of finding and implementing sustainable alternatives to all current materials – including the materials presently used to manufacture LEGO bricks, which are all petro-chemically based.